1. Sweet Sasha was introduced at the same time as Marvelous Malia. These two Ty Girlz had the same first names as President Obama's two young daughters. 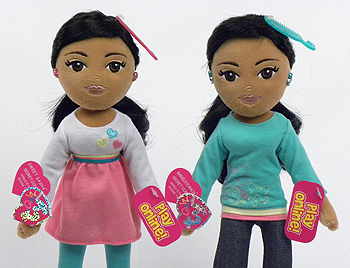 A controversy ensued that caused Ty Inc., to retire the original names Sasha and Malia; and rename the Girlz Mariah and Sydney. The design of the Girlz did not change; only their names. 2. 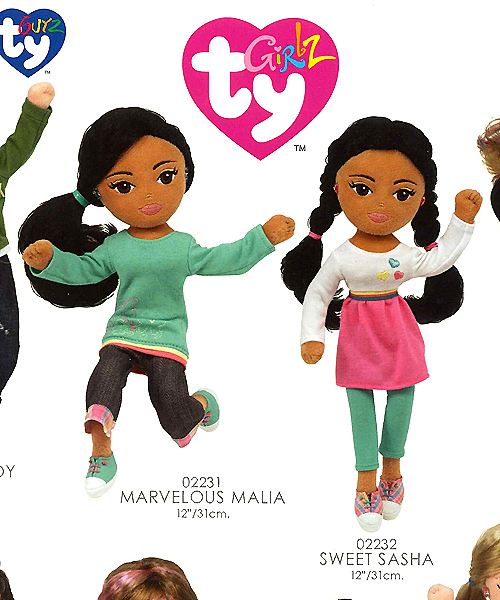 This is the way Sweet Sasha & Marvelous Malia appeared in the January 2009 Ty retailer catalog.